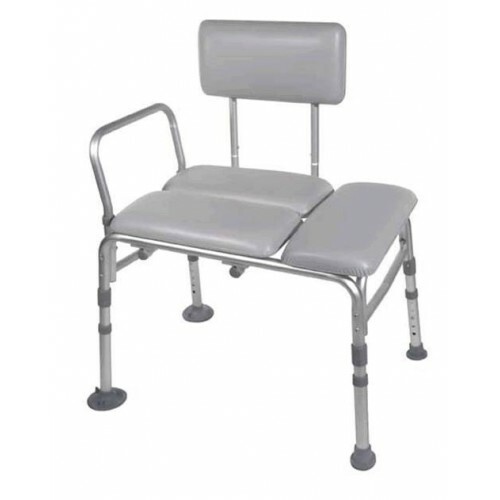 The Drive Medical Padded Transfer Bench is a highly comfortable bench designed for bath and shower use. 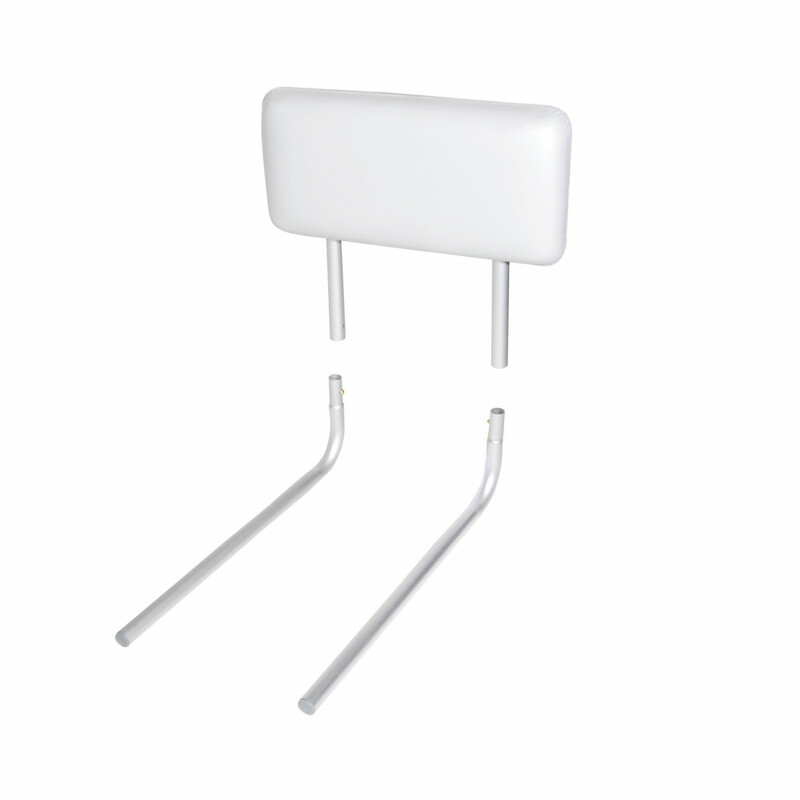 It provides users with durable support and added safety while transferring in and out of the bathtub. This Drive Padded Shower Transfer Bench is designed to help individuals with limited mobility due to disabilities, surgeries, or injuries. 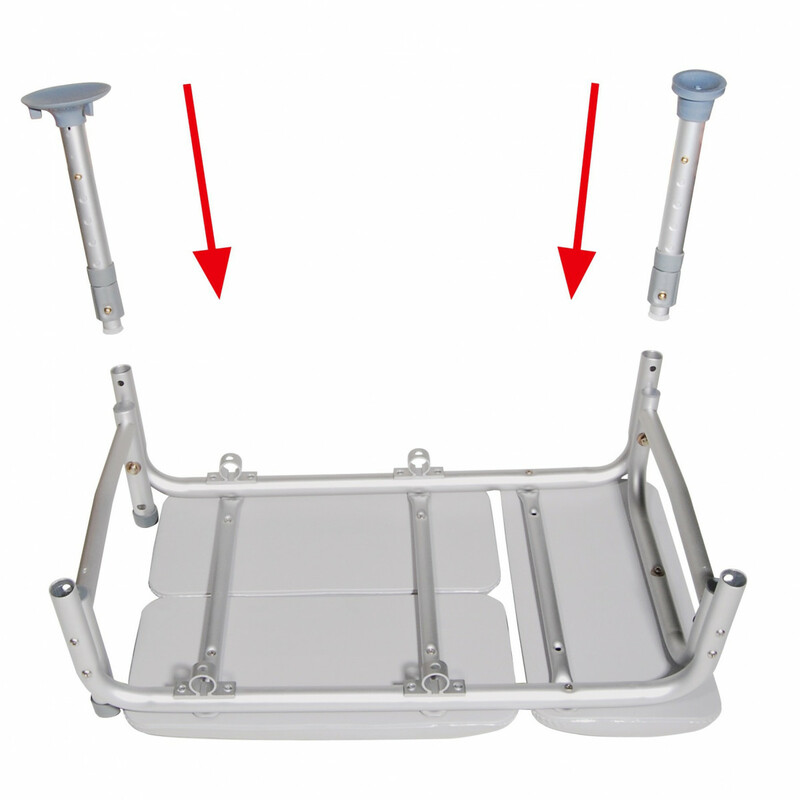 The frame of this padded transfer bench is constructed from durable aluminum that can safely hold up to 400 lbs. The aluminum frame is lightweight and corrosion resistant. The legs of the bench feature large suction cups that keep the bench from sliding on the wet surface of the tub. 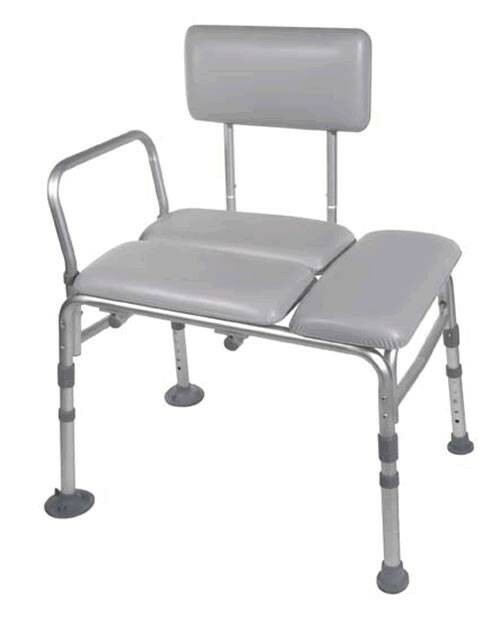 The Drive 12005KD-1 Padded Shower Transfer Bench has dual column legs that are height adjustable from 17-3/4 inches to 20-3/4 inches to allow it to fit easily in most standard tubs. The sturdy backrest and seat are paddec for maximum comfort and the backrest is reversable to accommoddate left and right hand transfers. It is designed with push buttons that help facilitate a tool-free assemly. I was wondering how the shower curtain works with this chair,are you able to use a shower curtain and keep the water in the tub.I do take showers only.I just can't figure out how this would work??? 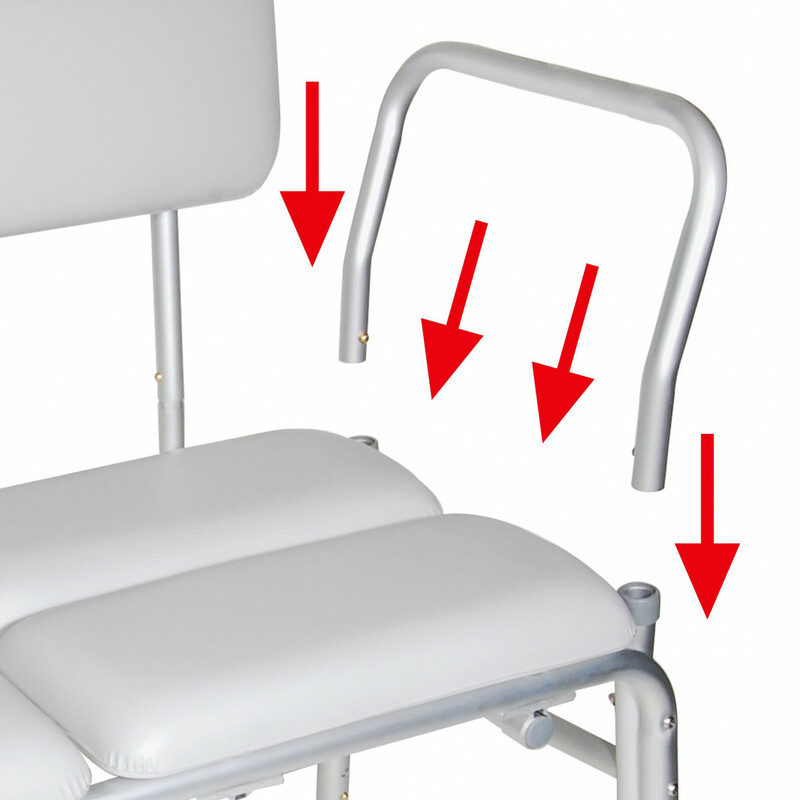 Given the width of a standard tub the transfer bench should be short enough to allow the curtain to close all the way. This will allow you to shower without splashing water outside the tub. Please give length, height, and width measurements.